Christmas Outside is the best way I can think of to celebrate the holiday and the fresh start of a new year to come. Family invading your space? Holiday shopping making you crazy? Christmas lights got you tangled up? Too much food turning your stomach?………….I have the answer……..Escape! 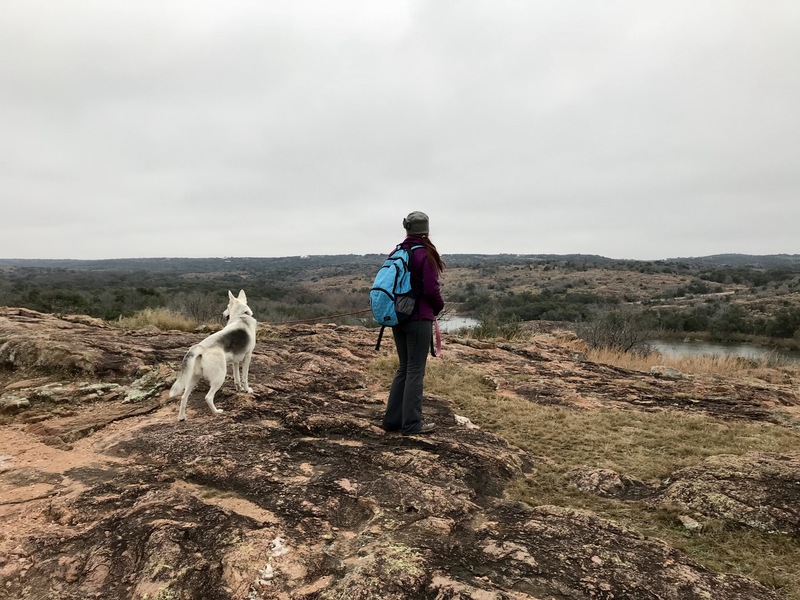 We had enough of the holiday stress and rush and so an escape to the hill country in lovely central Texas was definitely just the medicine mother nature prescribed. 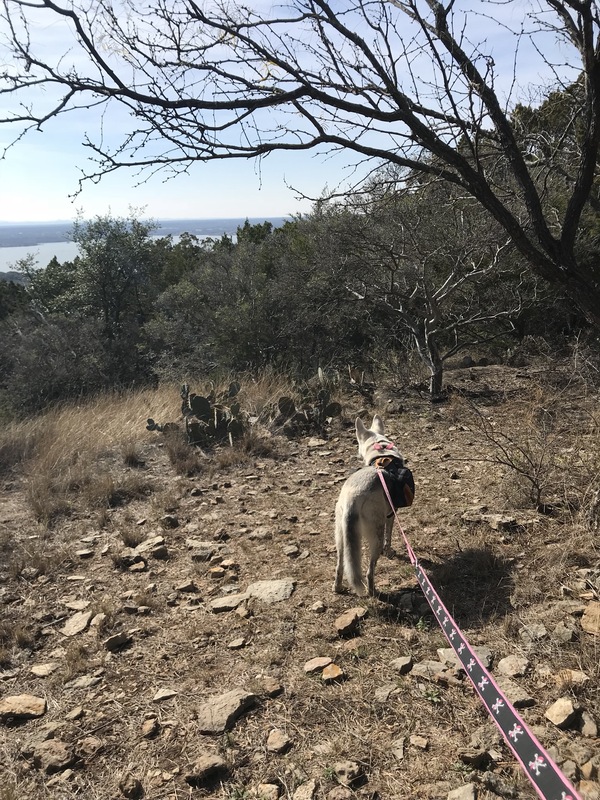 On Christmas Eve we packed the Blue Beast Jeep and drove a few hours south to a quaint little compound resort called The Canyon of The Eagles outside of Burnet Texas. Upon arrival we checked into an adorable little dog friendly cabin on the shores of Lake Buchanan. The view was spectacular and the place was practically abandoned this time of the year (insert happy face). This is wimpy camping for sure, the cabin is extremely cozy with heat and a queen bed, coffee pot and a full bathroom (no TV though so don’t judge me). I love sleeping outdoors but the threat of freezing weather brings out my weak side, I really detest being cold and for the sake of Jeremy and Aleu I decided to spare them the cranky wrath of a cold morning Angela. The compound also features a great restaurant with amazing views of the lake, a separate bar/ TV lounge, a park store, a recreation room, an awesome astronomical observatory for star watching and about 14 miles of easy to navigate trails, there was also a pool but it was way too cold to take advantage of that particular amenity this trip. They have tent and RV sites too. The people staffing the place were very kind and had no problem accommodating my meatless diet in the restaurant. 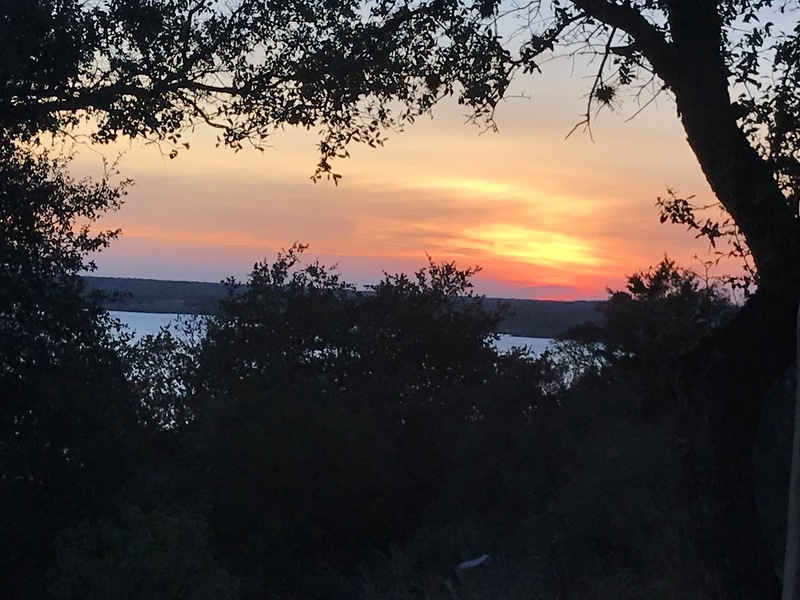 The first evening there we had time for a short jaunt on the trails and found a well marked short loop near our cabin to get in some much needed time under the sky, there were tons of deer and armadillos sneaking about before the sunset. 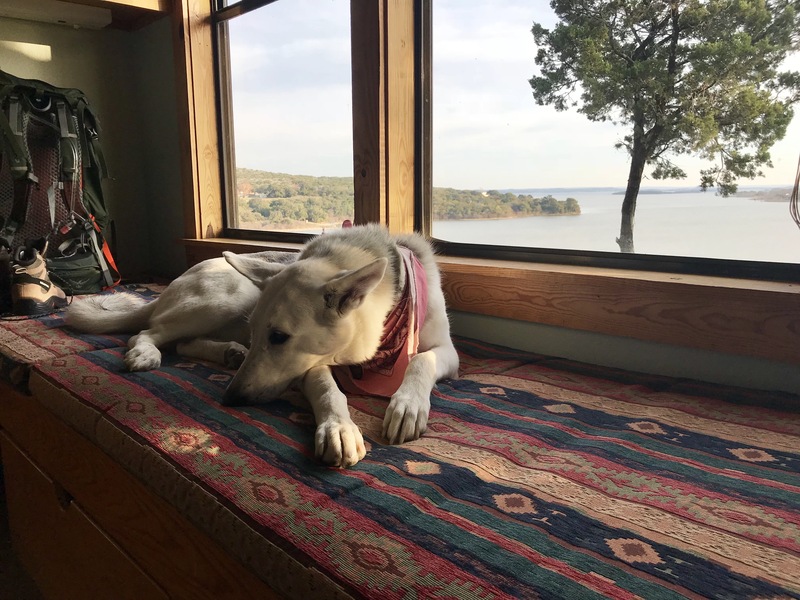 We had a great dinner in the restaurant while Aleu lounged about on her window seat overlooking the lake. Christmas Day we pulled on some warm clothes after enduring some pretty bad in room coffee and ventured out to explore the rest of the trails on property. Aleu exploded out of the cabin bouncing into the cold air, my girl really loves this time of the year. 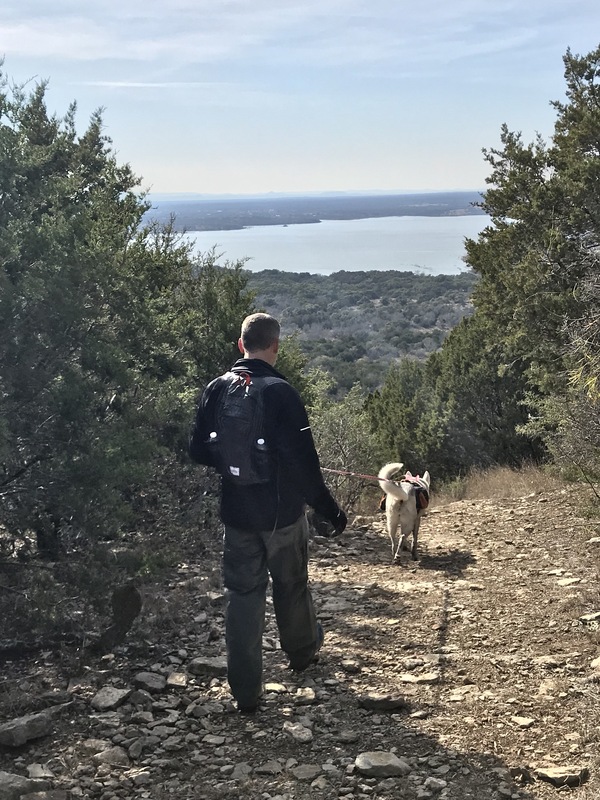 With trail map in hand we explored about ten miles of mostly easy going trails along the lake while letting go of holiday pandemonium and replacing it with crisp aired peace. The trails are fairly flat with few exceptions of some moderate inclines, it was a great day to totally forget the holiday. We trekked back to our cabin shortly before dark to shower and have a tasty dinner at the restaurant of balsamic portobellos and veggies with a very nice local wine. 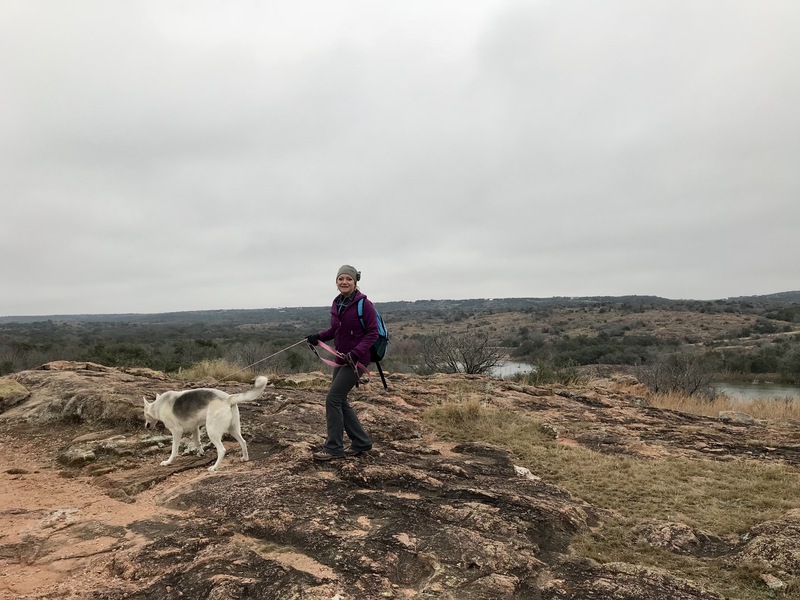 The next morning we sought adventure at Inks Lake State Park just about 30 minutes up the road. The terrain is so different we could have been a state away, but this is Texas, our vast fickle lady who changes it up seemingly without reason except to keep her beauty fresh. The park has colorful hills and a clear blue lake to savor. There are plenty of campsites and some NON-DOG FRIENDLY cabins as well………..yes that bugs me. It was a wonderful day to explore this beautiful park because the rest of the world was probably stuck inside with tinsel and fruitcake, hardly a soul in sight except for the cheerful wildlife enjoying the sunshine ricochet. The colors nature painted on the rocks with moss and clay are awe inspiring. After another healing day on the trails we made our way back to Burnet and stumbled upon The Trailblazer Grille in the old town square and were treated to some homegrown live music and friendly locals. Small adventures often bring the most pleasant surprises, get moving, get down to the basics and Get Outside People! 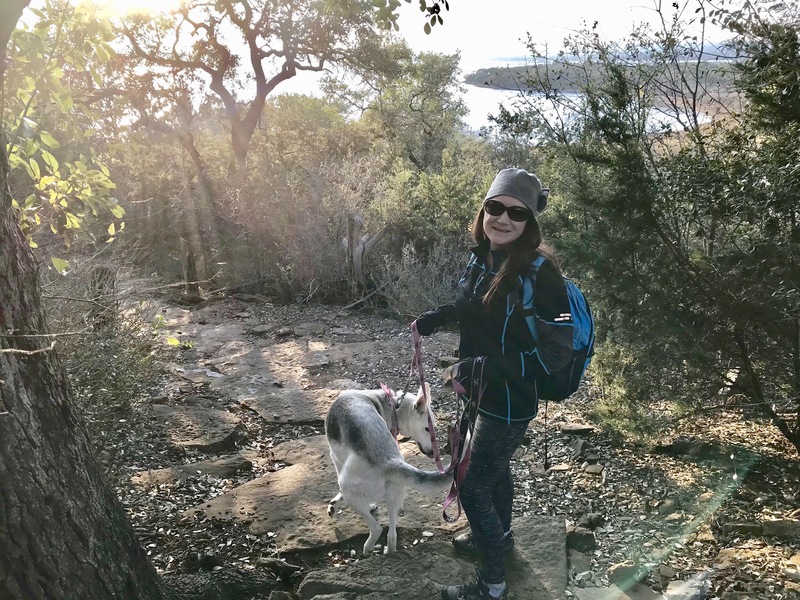 I love your blog posts my love….you definitely have a way of putting adventures into words! Looks like fun! I’m glad you are doing well.